I have a few things to show off today... yesterday I finally finished up my daughter's little ABC book. This was fun and she was excited about it the whole time I was working on it. Of course it's in a toy bin now. 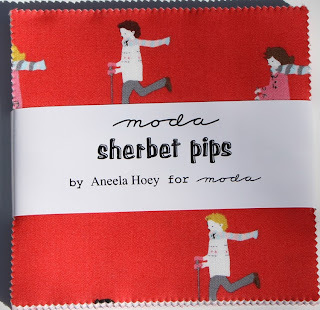 The instructions/recipe for this project are over at Moda Bake Shop. I would like to put the pages all on a ring but haven't found one yet. Oh, and I used Jacquie's grommet tutorial; it was very helpful! This was a project I started a couple weeks ago. I am not that great at just starting and finishing a project all in one shot, but I think that's ok (mostly). I work on what I like at the time and sometimes I need a break from something and need to make something else. Sometimes I wish I could be a no-UFO kind of person though. 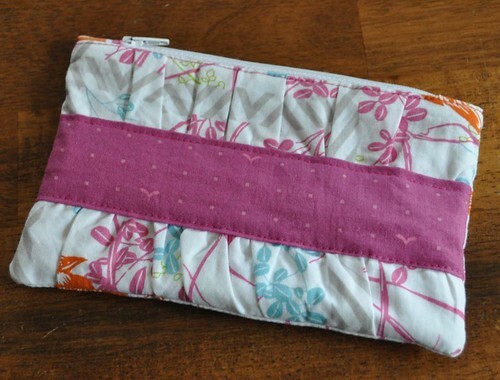 Speaking of UFOs, I decided to give the tabbed zipper another go and finish up my very own gathered clutch. I feel like I'm finally getting the hang of this zipper, and I like how it turned out! I'm so glad I'm finally keeping one of these. *Mine is a little smaller than the instructions are written for, but my front piece pulls up and distorts a bit when I pull the gathers so I trimmed all the other pieces to fit. Next time I'll start a little bigger than I want the finished clutch to be to account for the trimming. *When I topstitch the fabric edges next to the zipper, I start about 3/8" in from the end. *In the final step, I sewed the outer layer and lining separately, starting right at the seam allowance where they are sewn together but not stitching the seam allowance down. *Next time I will work on making the lining a little smaller so it fits better inside the clutch. toothy grins... but none of them have all of their teeth. I made my daughter's skirt on Saturday night, using the border skirt pattern from Little Girls, Big Style . (yes, affiliate link) I added the bottom ruffle; it was 2x longer than the skirt panel it was sewn on. The fabric is a sort of twill (what? yeah it's from that Target clearance tablecloth I bought a long time ago for fabric) and gathering it was kind of a challenge. Next time I do a ruffle on a twill or other heavier fabric, I'm going to go for a 1.5:1 ruffle ratio. I am thinking about what I want to work on next and waiting anxiously for warmer weather tomorrow! Hope you're having a good week! I took this picture part way through quilting the 3rd side of the outer border of my rainbow 9-patch quilt. I seriously need to take a break from it now. (3.5+ hours of quilting over 6 days. 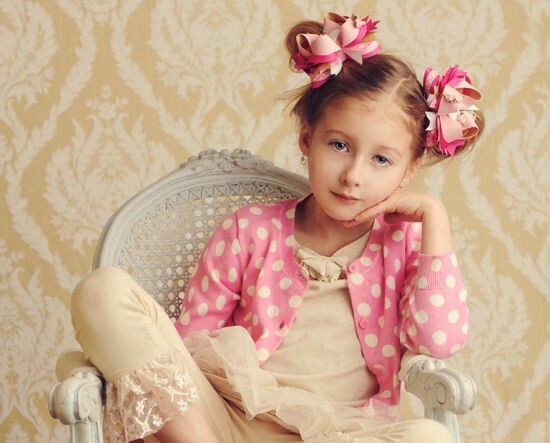 Yes, I have kids.) I have a little skirt I need to sew before Sunday and would like to make my drapey cardigan one of these days. (I am making the short one, can you imagine me all wrapped up in the long one?) So I will get back to binding it in a few days. 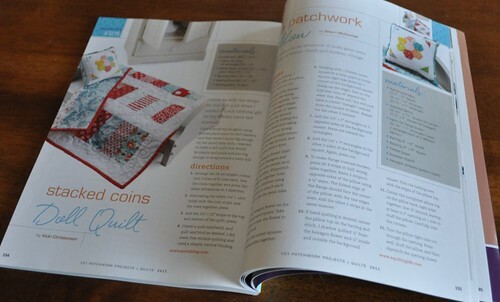 Also, I wanted to say thank you for all the positive responses and offers to test my Ruffle Crush quilt pattern. 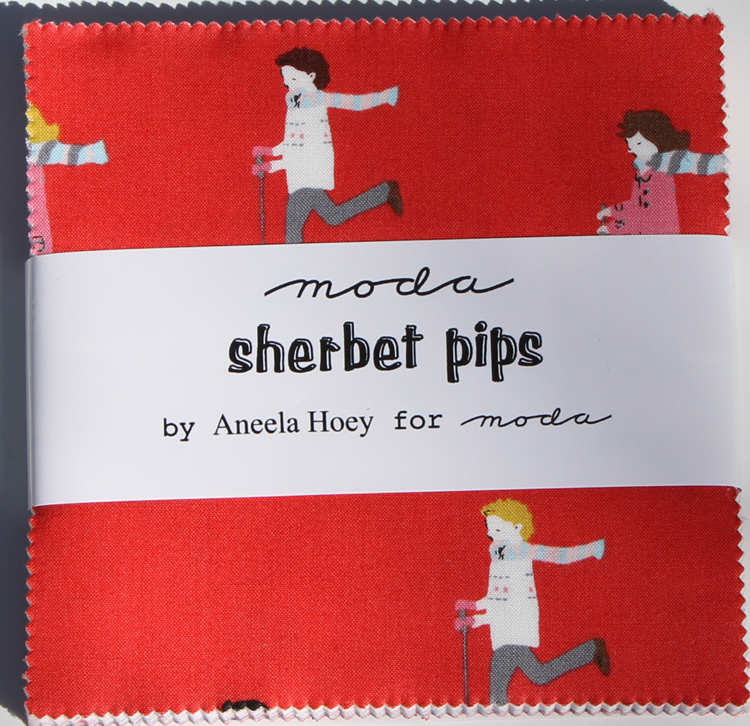 I have chosen my testers and will let you all know when the pattern is available to purchase! Hi friends! I hope your Monday is going well so far. I have been out to run errands and my girl is having a rare nap so I'm enjoying a little bit of time to myself this afternoon. 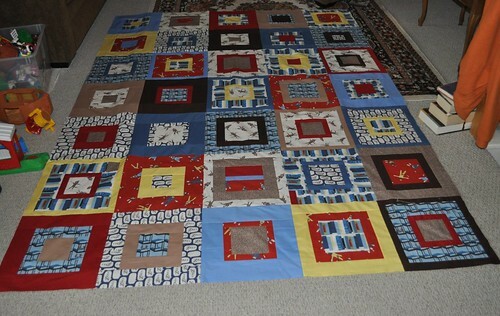 The pattern will be available soon, in two sizes--baby quilt (about 40" x 50") and throw (about 50" x 70"). This is the baby quilt size and it's made up in Kumari Garden fabric with charm squares from my stash and Moda grunge for the ruffle strips. The pattern will be available as a .pdf file--it has lots of photos and includes detailed instructions on cutting long straight strips of fabric, matching large scale fabric prints, and sewing gathers. I used Blush fabrics from Basic Grey for this one. So here's the deal--the pattern is almost ready, but I'd like 2 or 3 quilters to proofread it for me. And if anyone wants to test the pattern and can make up a quilt top quickly that would be great, too! (I have had one friend test it so far.) Please contact me via email or leave a comment here if you're interested in proofreading or testing this pattern for me. 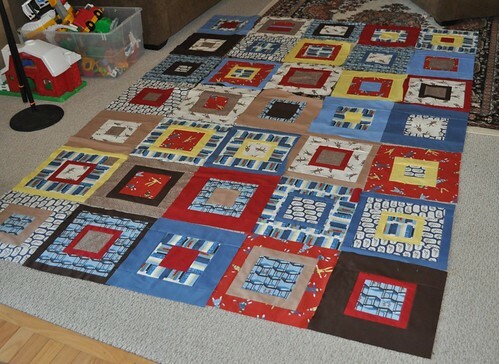 Tell me about your quilting/sewing skill level too; I'd like to get a beginner's take on it as well as input from a more experienced quilter. 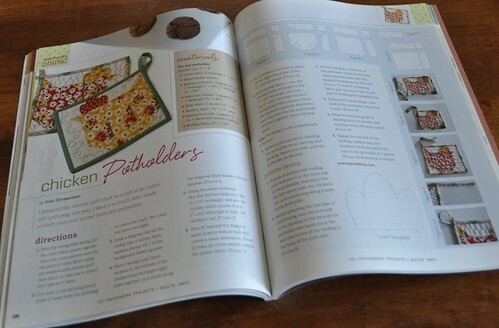 I'll give a free copy of the final pattern to my proofreaders and testers. I am hoping to join in on the Naked Bed Challenge, but felt like I wanted to finish up some of my other quilts first. I told myself if I finished my Goodnight Monkey quilt top for my 6-year-old, then I could go ahead and start a king size quilt top for my bed. I have a design in mind for my king size quilt, but need to do some figuring to see if I have enough fabric for 16 blocks that are 16" square, and also how much solid gray I need for sashing and borders. I'm going to make improv log cabin blocks using my flea market fancy collection and probably some other coordinating fabrics too. These will be signed over the next week or so and then we will get started on basting and quilting! 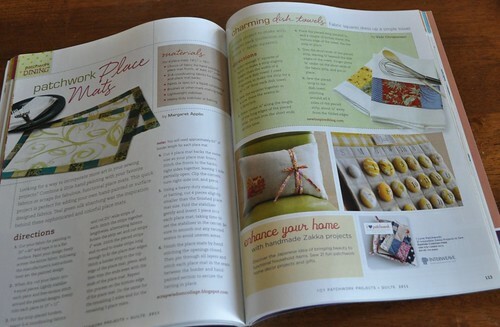 So I picked a winner for 101 Patchwork Projects. It's Krista. Yeah, you, Krista. I'll bring it when I see you next month. Congratulations! 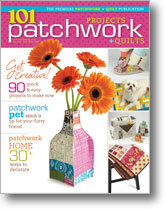 101 Patchwork Projects + Quilts--get your own copy now! This giveaway is closed now. I have an extra copy that I'd like to give away to one of my blog readers. Just leave a comment here and I'll pick a winner on Friday. This (above) is just right after I laid them all out and before I moved them around for balance/evenness. I'll look at this photo a bit more and see if there's any changes I think need to be made (the rows are labeled and it is picked up already). It is hard to get everything arranged all evenly and without a lot of color clumps. I think it is probably good enough though. I'm excited. This has taken a long time, but that's ok.
Also, I exercised (I did the 30 day shred 4x this week), oh and that's all I did besides sew and feed the family. My husband made a gate with the neighbor so we can share his riding mower, he mowed and fixed the pipe coming out from our sump pump, we both visited with neighbors a bit. I did direct some morning chores being done by my boys; life is better when they do more work around here. 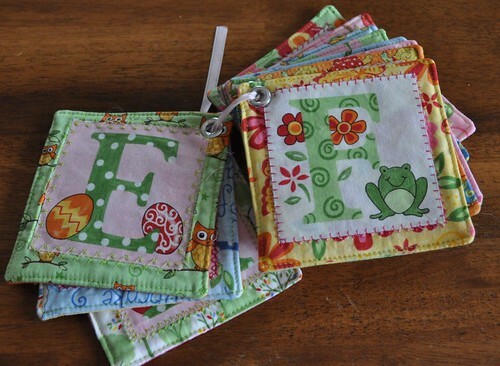 The winners of Luna II fat quarter bundles from Sew Inspired of Nauvoo are Ann Marie and Caroline. p.s. I have a couple more giveaways coming soon... but hope to have a quilt top or maybe a finished quilt to show off in the meantime. I wanted to share a couple things I've been working on over the last week or so. 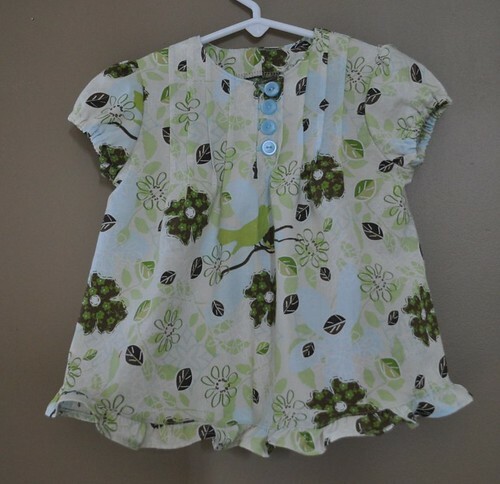 I finished up this little blouse for my girl. The pattern is from Ottobre Design 1/2006, #11. I worried about the neck facing and that slit for a while... but when I sat down and got working on it, it turned out just fine. I omitted the back zipper. Now I just need to make her something to wear with it. I have lime green that will probably be a skirt and natural linen for capris. I only need to make 7 more and then I can put together the quilt top! And then after I get that done, I think I'm going to give the Naked Bed Challenge a shot. 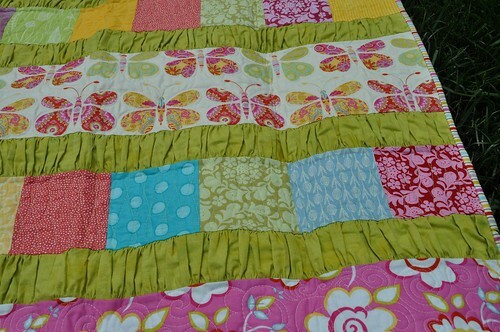 I have an idea in mind, and I'm pretty sure I'm going to try to use up all of my Flea Market Fancy fabric on this one. I hope it works out ok! I need to announce the winner for my blog birthday giveaway #4. The Mendocino fabric/scraps/towels will go to Anna. Congratulations! p.s. There's still one more day to enter giveaway #5! #9--Rainy, #15--Jo, and #18--Mickey! 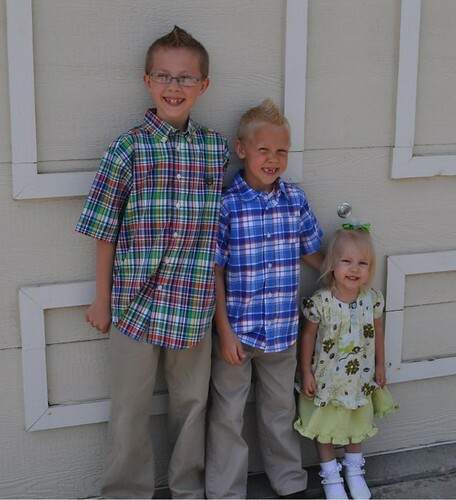 They each won a pdf hairbow pattern from Birdsong Bows. Thanks so much to Deanna for providing this giveaway's prizes. Thanks to everyone for participating in my blog birthday party! Giveaways #4 and #5 are still open for 2 and 3 more days. Today my blog turns 5 years old! Giveaway #5! You've made it to giveaway #5 in my 5 year blog birthday party, congratulations! 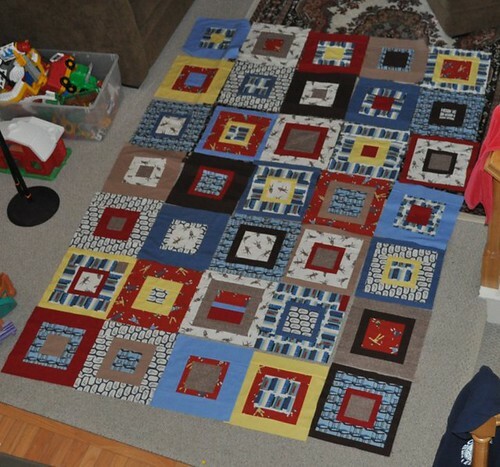 To recap 2010, I started a quiltalong. (I never got all the finishing instructions for the larger quilt, and I feel badly about it. Maybe I will get to that soon.) I joined the Kansas City Modern Quilt Guild and it has been so much fun. 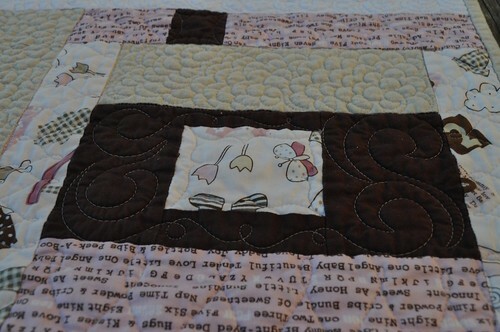 I participated in doll quilt swaps and a couple of virtual quilting bees. I made a couple of Quilts for Kids. I did some straight line quilting, and didn't really love it. (I learned how to adjust my machine for better results later on though.) I finally finished my insane quilt project, which I had started in 2002, yikes! I made a left-handed rotary cutting tutorial. 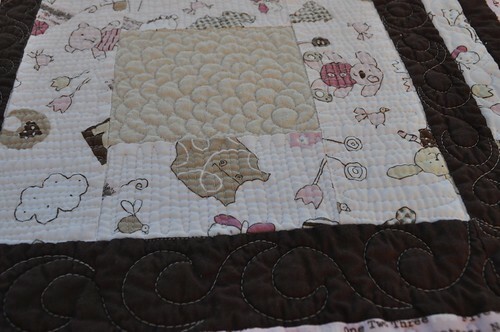 I worked on a collaborative baby quilt with some friends. :) I headed up a charity quilt project with KCMQG. It was a great year... and I can't believe I've been keeping track of it all on my blog for 5 years now. Thank you for reading along! 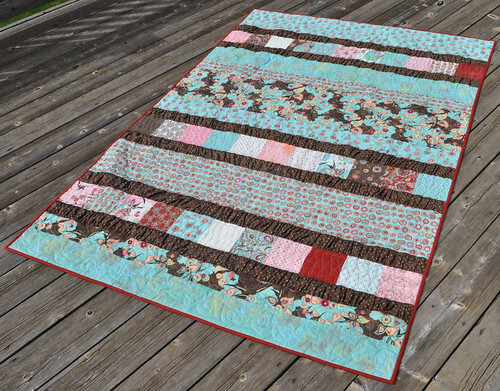 The 5th and final blog birthday giveaway is another prize from Sew Inspired of Nauvoo. 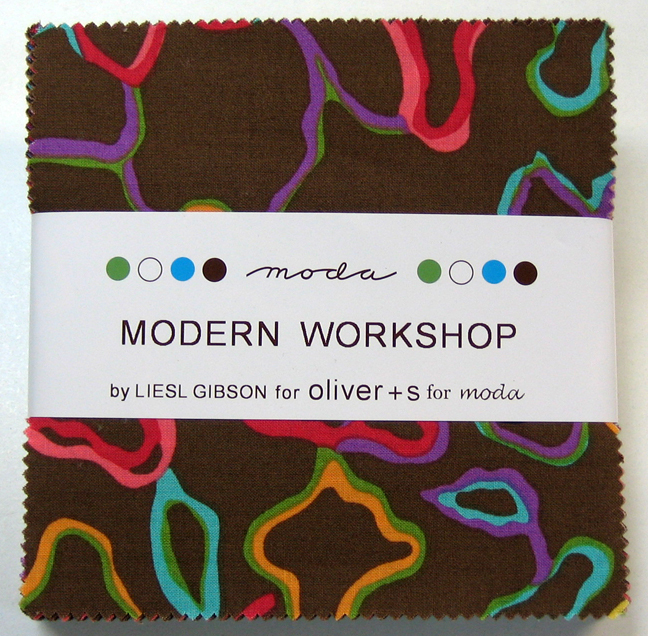 Barbara is generously offering two fat quarter sets of Luna II fabric from Maywood Studios. Two winners will each receive 16 fat quarters; each winner will receive a mix of browns, pinks, and blues. If you'd like to win one of these prizes, visit the Sew Inspired of Nauvoo website, and come back here and leave a comment telling me your favorite product from their store. *blog about this giveaway or tweet about it. *And then, leave an additional comment for each of these things. Make sure you leave me a way to contact you! If you are not sure if your email address comes through with your comments (I get them emailed to me), check out this excellent explanation on the Pleasant Home blog. If you want, you can include your email address in your comment. If I draw a name that has no contact information, I will pick another winner. I will draw the two winners on Friday, April 8, at 12:00 p.m. central, and then I will email the winners and post their names here. Blog 5th Birthday Giveaway #4! Sorry about the delay in posting giveaway #4! I was sidetracked by a crazy hailstorm last night and a kiddo with a sprained ankle. We had several window screens destroyed in the storm and are very thankful that no windows broke. I took kid #1 to the doctor this morning and we are pretty sure it is just a bad sprain, no broken bones. He hurt it the other day playing baseball out in the neighborhood, but is feeling a bit better with pain meds and a lidocaine patch. Anyway, after I had my baby in 2008, my sewing mojo came back with a vengeance and I had a great time sewing baby clothes and quilts in 2009. One of my favorite posts/projects is the Charm Pack Dress tutorial. 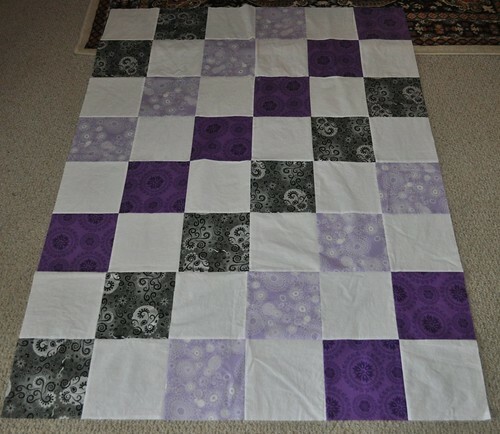 And I made my lavender scrap quilt in 2009, too. I participated in NaBloPoMo for the first time, and posted to the blog every day even while we were gone on a cruise for part of the month! (I love scheduling posts ahead of time....) Here's my year in review post for 2009. It makes me smile. 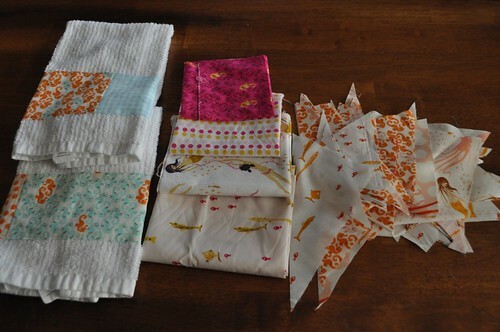 I am giving away some Mendocino scraps, fabric, and dishtowels. It will all go to one winner. The scraps are leftovers from the diamond pillow shams I made last year. The towels are kitchen "bar mop" towels with Mendocino seahorses and coordinating fabrics sewn along one side. The stack of fuschia fabrics includes a full fat quarter of swim class, and smaller pieces of the underwater sisters (18" x 10.5"), dots (18" x 11.5") (they aren't from the Mendocino line but they match pretty well), and seahorses (15" x 9"). This giveaway is closed now! *If you'd like to win this Mendocino package, just leave me a comment below--one comment per person. *This giveaway will be open until April 7 at 12:00 p.m. central (or I might be a little late. It won't be earlier though). *You must leave me a way to contact you! If you are not sure if your email address comes through with your comments (I get them emailed to me), check out this excellent explanation on the Pleasant Home blog. If you want, you can include your email address in your comment. If I draw a name that has no contact information, I will pick another winner. *I will email the winner on April 7 and also post the winner here. p.s. Giveaway 1 is over, but you can still enter Giveaway #2 and Giveaway #3. I am counting down from the comments in chronological order. #79 is Jacque. Congratulations! And thank you to everyone who commented, I have loved reading every comment. How's the weekend going? Hey I have a song to share for you... about the weekend. Here you go. But seriously, hope you're having a good one. Today I got the kitchen floor mopped, made banana bread, went and bought potting soil and seeds with my oldest. We are going to try growing lettuce and peas in containers on the deck. Maybe we'll be able to thwart the evil bunnies. So... onto a review of my blogging life in 2008. Hey, here's something cute I made--why haven't I made one of those for my little girl yet? I spent the majority of that year pregnant and then dealing with a the preemie baby situation. I didn't have the energy to sew or blog very much. I'm feeling a little tender skimming over it... what a year. I'm so glad we made it through, and that everyone is happy and healthy now. *Leave a comment on this blog post to enter. *This giveaway will be open for 3 days. I will close comments and pick a winner on April 5 at 10:00 pm central (or I might be a little late. It won't be earlier though). *I will contact the winner on April 5 and also post the winner here. p.s. check out giveaway #1 and giveaway #2 if you haven't already! Hi friends, welcome back, and welcome to giveaway #2! 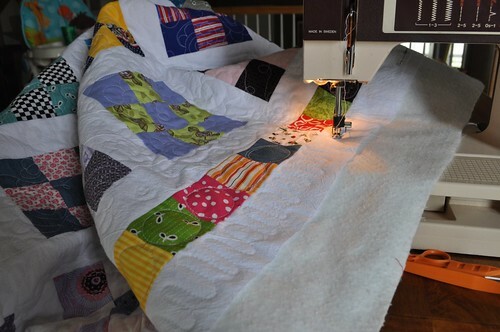 I just love the attention and detail Angela puts into her quilting; her work is a big reason I am trying to branch out and improve my free motion quilting skills. *Leave a comment here to enter. *This giveaway will be open for 3 days. I will close comments and pick a winner on April 4 at 10:00 pm central (or I might be a little late. It won't be earlier though). *I will contact the winner on April 4 and also post the winner here. p.s. if you haven't already, check out giveaway #1 here! Anyway, here's what I think about what I read tonight and last night. There are a lot of women criticizing the younger/modern/contemporary quilt bloggers for "dumbing down" quilting. 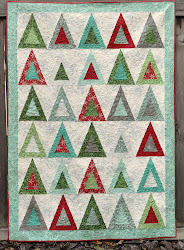 They are saying they keep seeing the "same 7 quilts" on quilt blogs, that people are using too much negative space or white or gray, that the new, modern quilter's aren't interested in improving their skills. 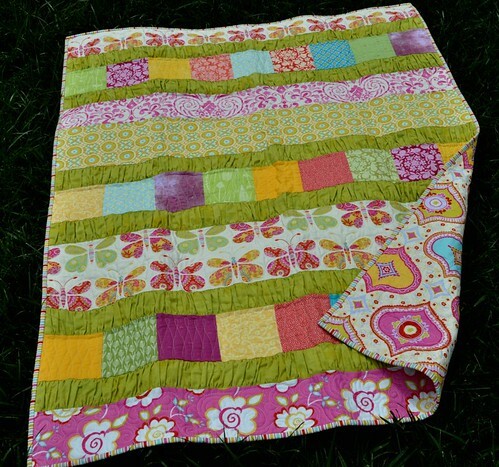 The criticisms even went as far as saying that certain modern quilt styles are ugly. I honestly don't think these people are actually spending any time actually reading any modern quilting blogs, at least not enough to get a sense of what one person's body of work or time spent on quilting is actually like. I read a lot of modern quilt blogs and I have for a few years now. 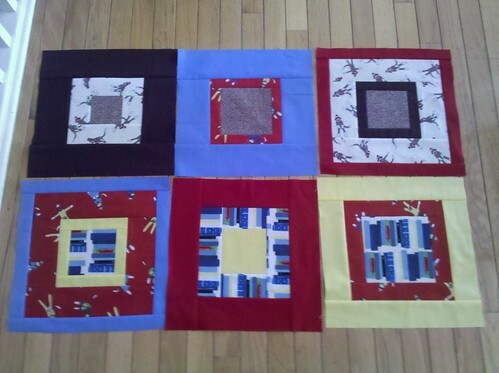 People are not making the same 7 quilts. Wonky log cabins, done right, aren't easy or lazy. White and gray solids in quilts look great, and if you don't like it, why do you feel the need to cut other people down? And finally, this is the one that really rubs me wrong, is the assertion that younger/newer/modern quilters don't care about improving their skills. The quilters I know, and the ones who I know through their blogs, and myself, we are all trying to improve our quilting skills! How dare you suggest that just because we like white, or are intrigued by the look of a wonky star block, or we want to make quick projects (because sometimes these seemingly quick projects become amazingly time consuming when we have to fit them in between toddlers, school age kids, and the rest of our lives), that we don't care to improve our skills. It's just rude to say that, and it's not true. I challenge any of the traditional quilters who commented about us lazy modern quilters to spend some time trying to get to know us, to subscribe to some of our blogs and look through our photos on flickr to see how our work has grown and changes, and try to really see the effort, care, and skill that we are using in our work. Try to appreciate a different aesthetic, and if it's still not for you, then at least have the courtesy to stop criticizing our work just because it's different from yours. Hi friends! On April 5, my blog will be having a 5th birthday! I am really excited about this and have some giveaways for a few lucky readers... make sure you stop by every day for the next 5 days, ok? First off though I'm going to get all reminiscent... how did this thing get started? Well I had a couple of blogs before this one; one was in 2002 when we lived in Oregon for the summer for my husband's MBA internship, with the idea that family could keep track of what we were up to. And then after that I kept a personal blog for a while but I wasn't ever 100% comfortable with the idea (or the name I had chosen) and eventually I scrapped (and deleted) it. Then I wanted to start a blog again, and decided to focus mainly on my sewing and see how it went. I just glanced through all 20 of my 2006 entries, and isn't it great that people can grow and change? My writing then reminds me of how I write in my personal journal, and I think I write differently now. I guess I had no audience at first though, and now I do, and I try to keep that in mind. 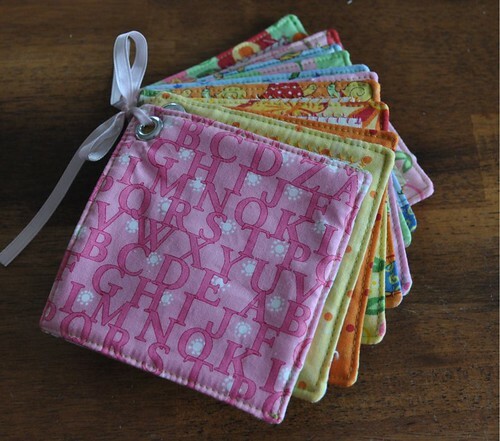 I was dabbling in sewing things to sell on etsy/ebay too, which I didn't enjoy terribly much. Also, not really quilting very much. Anyway, probably my favorite post from that first year is in April (and it doesn't have its' own permalink, how weird is that?) when I was complaining about my second child giving up naps. I'm going through that now with my third child, but she's 29 months old now and he was 21 months old when he did this. Other than that, it's pretty much the same. So... moving on to the giveaway! One lucky winner will receive both charm packs. To enter, all you need to do is leave one comment on this post. I'd love it if you make it a little interesting, but you can go ahead and say "pick me!" if that's all you have. *This giveaway will be open for 3 days. I will close comments and pick a winner on April 3 at 10:00 pm central (or I might be a little late. It won't be earlier than then). *I will contact the winner on April 3 and also post the winner here. 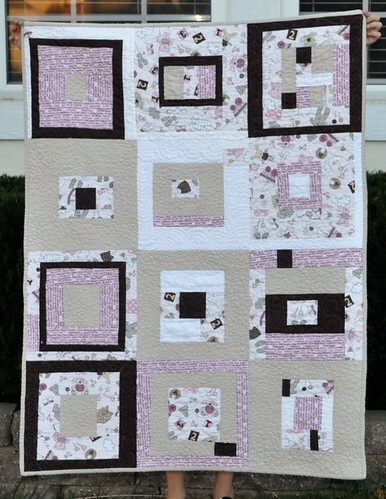 **Thanks again to Sew Inspired Quilts of Nauvoo!